Texas oil and gas exploration bankruptcies have slowed down from their high point of 2016 and 2017, however some oil companies are still feeling the pain from lower oil prices. Once such organization, Fulcrum Exploration, LLC, filed a voluntary petition for Chapter 11 bankruptcy in the Northern District of Texas on Monday. Bankruptcy Judge Stacey G. Jernigan will preside over the Chapter 11 bankruptcy case. Fulcrum Exploration, LLC is an independent oil and gas exploration company that has been producing oil and gas on the Anadarko Basin since 2007. The company operates productive wells throughout Southern Oklahoma in Tillman and Jackson County, Oklahoma, as well as, in Northern Texas. 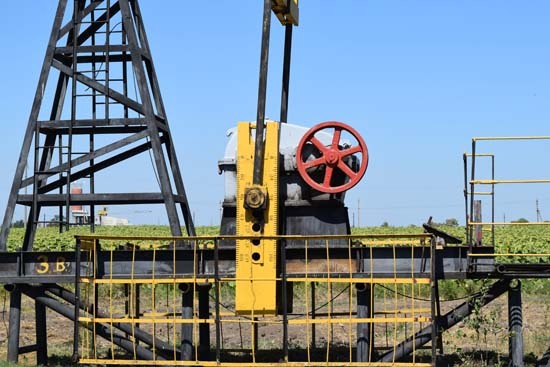 In its first bankruptcy, Fulcrum Exploration filed bankruptcy with US Bankruptcy courts in Northern Texas claiming it owes $10,000,001-$50 million to 1-49 creditors, and lists assets also ranging from $10,000,001 to $50 million. Among the company’s creditors are Cimarron Pump & Supply, Impac Exploration Services, Halliburton, and Derek Jensen, who is listed as the company’s President. Other employees of the company include Michael Graham, Fulcrum’s Chief Financial Officer and Johann Garwood, VP of Corporate Operations. The company claims in depth management experience with production supervision, operations management, and financial management. The company’s headquarters is in Flower Mound, Texas. Fulcrum has been in business for 12 years and has an estimated revenue of $440,000 per year. While it is unclear at this point if Fulcrum Exploration will be able to effectively reorganize its debts to continue business long term, but the Chapter 11 bankruptcy filing will allow the organization to work on reorganizing debt obligations while continuing to produce it’s leased properties.